Slow sales mean big discounts on popular cars. Picture: Joshua Dowling. New-car sales have slowed for five months in a row so most major car companies are hitting the airwaves with sharply discounted prices to clear stock. Here are the best deals in three popular categories. The Holden Barina LS base model auto has hit a new low of $14,990 drive-away - about $4000 off full price - as the brand prepares to drop the model from the line-up. 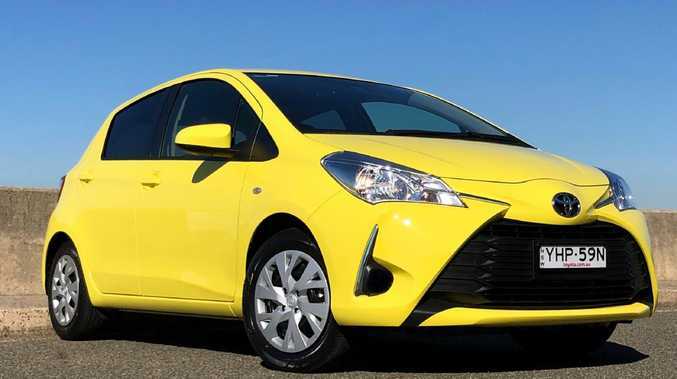 Toyota's Yaris hatch automatic has limboed to a super-low $16,990 drive-away with a $500 cash-back deal, about $3000 off full price and a steal. 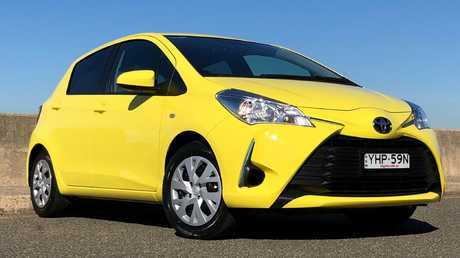 A steal: The Toyota Yaris. Picture: Joshua Dowling. The Kia Cerato hatch - in runout - is still an incredibly low $19,990 drive-away. Pick up the new generation Cerato sedan with autonomous emergency braking, rear camera and larger infotainment screen for $21,490 drive-away with auto. Holden dealers are open to negotiate on the Astra R+ auto with safety pack at $21,990 drive-away. The Hyundai i30 Go is $22,990 drive-away online - ask politely and you might trim a further $1000. For something a little plush, the Honda Civic VTi hatch or sedan can be had from $24,990 drive-away with $500 in accessories and seven-year warranty (up from five years and equal industry best). The smaller Honda Jazz is good buying at $17,990 drive-away with auto, $500 in accessories and seven-year warranty. The base Suzuki Vitara is good buying at its longstanding discounted price of $23,990 drive-away - there is a facelift around the corner. 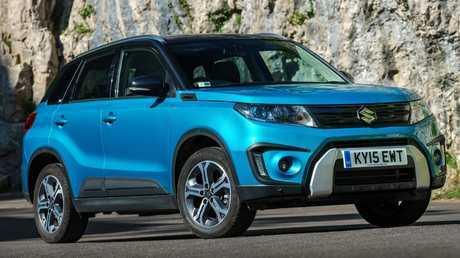 Longstanding discount price: The Suzuki Vitara. Picture: Supplied. Deals on the Hyundai Kona vary. The company website lists the base Kona Goat $25,490 drive-away with a sharp-ish $500 bonus. Shop around for an overstocked dealer and aim for an astonishingly low $22,990 to $23,990 drive-away with auto. The new Mazda CX-3 Neo Sport with rear camera, AEB and Mazda's infotainment is $25,990 drive-away, not a super sharp discount but better than the usual full price. Nissan has too many base X-Trail STs in stock so pay a super-low $28,990 drive-away with auto and five-year warranty. The warranty extends to other Nissan models but the deal on other X-Trail versions is nowhere near as sharp. Roughly $5000 off. Mazda’s CX-9. Picture: Supplied. The Toyota RAV4 front-drive GX auto is down to $31,990 drive-away with $1000 cash-back. A new model is coming early next year. Also for $31,990 drive-away, take a close look at the recently updated Kia Sportage Si Premium, which adds AEB, smartphone mirroring, seven-year warranty and 12 month service intervals. The Holden Equinox LS+ with safety pack is worth a test drive at its current $31,990 drive-away. 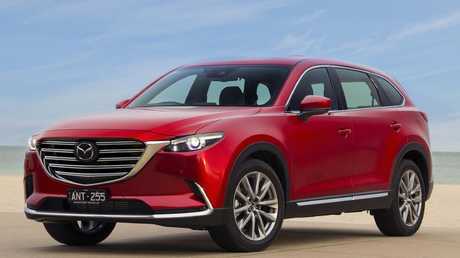 Mazda's CX-9 seven-seater with turbo petrol has dropped to $45,990 drive-away - at least $5000 off full price - ahead of a minor model year update. For getting off the beaten track, the Mitsubishi Pajero Sport GLX auto is hard to beat at $44,990 drive-away with a $2000 fuel card. Decline the fuel card and take a further $2000 off - insanely cheap for this vehicle. 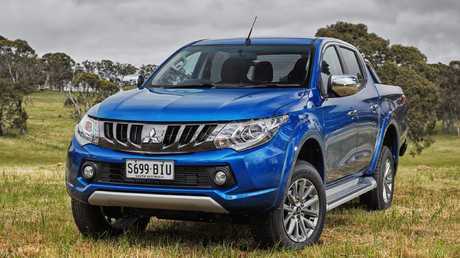 The Mitsubishi Triton remains the best value double-cab 4WD ute at $32,990 drive-away for a manual workhorse (or, as above, don't take the fuel card and get $2000 off). Best value ute: Mitsubishi’s Triton comes with a fuel card. Picture: Supplied. The flagship Triton Exceed auto is $46,990 drive-away with fuel card or $44,990 drive-away without. These are great buys but check the "runout" ads - a new Triton is around the corner and should be in showrooms early next year. Toyota still has the HiLux SR5 for crazy-cheap money: $53,990 drive-away with auto with the additional $1000 discount taking it to at least $7000 off full RRP. This is aimed at giving the facelifted Ford Ranger an uppercut as it arrives in showrooms.